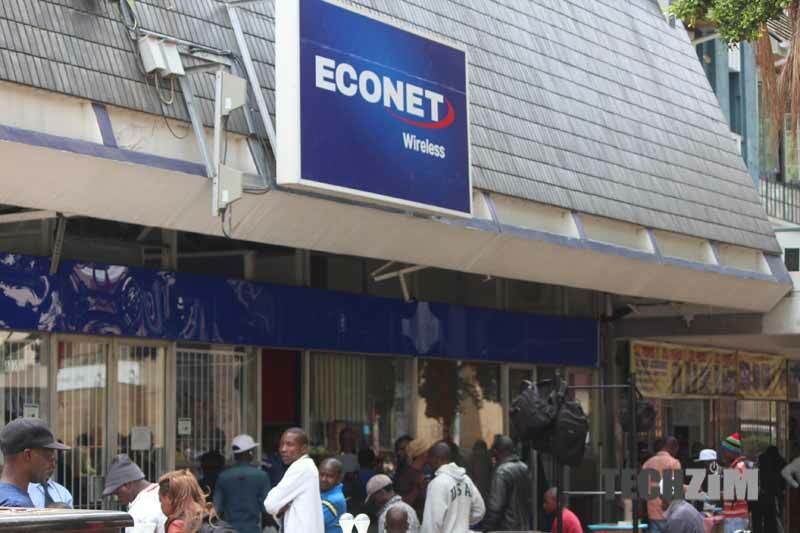 Local telecoms company Econet Wireless Zimbabwe is looking to raise US$130 million in the local market through the issue of shares and debt as an arrangement to put together capital that will be used to clear foreign loans. It will, however, require shareholders to make the payments for the rights issue in United States Dollars directly to an offshore account held with Afrexim Bank in Egypt. According to local business publication, the Source, this information was circulated to shareholders who were notified how the move was driven by the critical shortage of foreign currency in overseas Nostro accounts for Zimbabwean banks. With limited US dollars from the Zimbabwean market replenishing those accounts their balances have depleted and companies like Econet with foreign payment obligations are failing to meet them. The offshore payments workaround for the rights issue will ensure that the funds raised are able to service the loans without local foreign currency bottlenecks. This transaction is being underwritten by Econet Wireless Global, the private global entity with a 30% stake in Econet Zimbabwe. It is, however, subject to approval from the Reserve Bank of Zimbabwe (RBZ) which set up priority lists for foreign currency payments as part of dealing with the currency flight. Since Zimbabwe adopted a multi-currency regime Econet has borrowed extensively from foreign financiers to facilitate a network expansion plan which has seen it develop the most extensive mobile network infrastructure in Zimbabwe. It currently has the widest coverage for mobile broadband and voice services which include 2G, 3G and 4G/LTE base stations. Its list of creditors that is set to be paid a total of US$128 million through this rights issue are Ericsson, the Industrial Development Corporation from South Africa, the African Export-Import Bank and China Development. Samsung Galaxy Tab E Review. Better on the big screen. Now in return econet wants to give me econet zimbabwe shares that are not duly listed on any stock exchange? So when I sell my shares i will get beautiful bond notes? How about I skip the wait and sell my hard earned us dollars at 10% return immediately at road port? Econet dont play games with my forex hanty! There already is a USD:bond note Old Mutual implied rate. OM share price in Zim is $3.50, in SA R35.35. The exchange rate for USD to ZAR is 1:13.5 therefore $3.50 = R47.25. This gives an implied OM rate of 1 USD to 1.3337 bond notes. If you dispose of your offshore USD via this econet route you could earn more than the 10% at road port. At night the chickens come to roost and then we know tomorrow shall come. Last week Econet hiked prices of data 5 times past a price floor that, it is now too clear, they fought for over a number of months (the minutes showed they wanted the floor price to be even higher). In doing that they used their vast network to spread a lie that it was due to the regulator, Portraz. They wasted no time to increase the cost of what is now seen to be a necessary commodity amongst Zimbabweans. Once it was clear that Portraz wasn’t to blame they chose to attack their Minister and tried to paint a picture of conflict between him and the management at Portraz. Sadly smoke and mirrors are only good for magicians not for the corporate world. It’s great that rates came down but this story doesnt end there. The article above raises more questions than answers. What has this been about? Surely Econet didn’t plan to quickly repay their loans (which weren’t due) by fleecing hard working Zimbabweans? Further research shows that Econet have 3 times in the decade had expansion plans with 10 year payback periods. They’ve achieved payback in 2 to 3 years every time on those. Sadly the consumers don’t always take the time to analyse some of these corporate actions but this time they’ve been too greedy and they’ve been caught. It’s clear that they indeed wanted to fleece their customers in order to yet again pay back loans (that aren’t even due yet). I say the regulator needs to clip this beasts wings before the nation suffers. Road port guys like you dont even afford to buy shares . Probably explains why Econet was desperate to increase data charges. They are failing to service their loan obligations. Indirectly they are acknowledging what Supa was saying. They have been pleading with him to increase tariffs so that they can increase revenues and be able to service loans they took for capex. Looks like the days of astronomical profits are over in Zim. The article did say they are failing to raise USD dollars to make payments mainly because of RBZ restrictions(read between the lines).It did not say they do not have the money and thus the reason why they are asking for cash to be deposited in a foreign bank account.Its always better to comment on the facts rather than speculation. Its not just econet alone but any company with foreign obligations is failing to fulfill this because of the restrictions on foreign payments introduced by the RBZ. As for the data issue there are a lot of underlying problems both economic and political that need to be addressed and we have to look at it from a holistic approach.The issue of astronomical profits is 2 way.As an investor/business i am there to make profits and if you look at Econet’s last published results i wouldnt consider that as astronomical profits. Astronomical is when you spend nothing and still get 100% profit,so again lets comment from an informed position. In the 2016 financial year they made a profit of about 40million usd.Surely if we consider this as astronomical then basically the economy is not going to grow at all. One has to ask how much money did they bring into the economy in terms of taxes(corporate,vat,income).And how many downstream jobs they have created and how much is being generated by those then we measure this against the profit they are making.This to me is a fair analysis.